Sold per panel. Size in Inch. Blocks out 99% of light, reduces UV. Insulate the heat and maintain the indoor temperature stable. Improves sleep and reduces stress. Safety. The print craft is non-toxic, no chemical elements and eco-friendly breathable, make home closer to the nature. Wash by hands or gentle cycle. Iron them in low temperature. Care Instruction Machine wash with similar colors, do not bleach,warm iron. 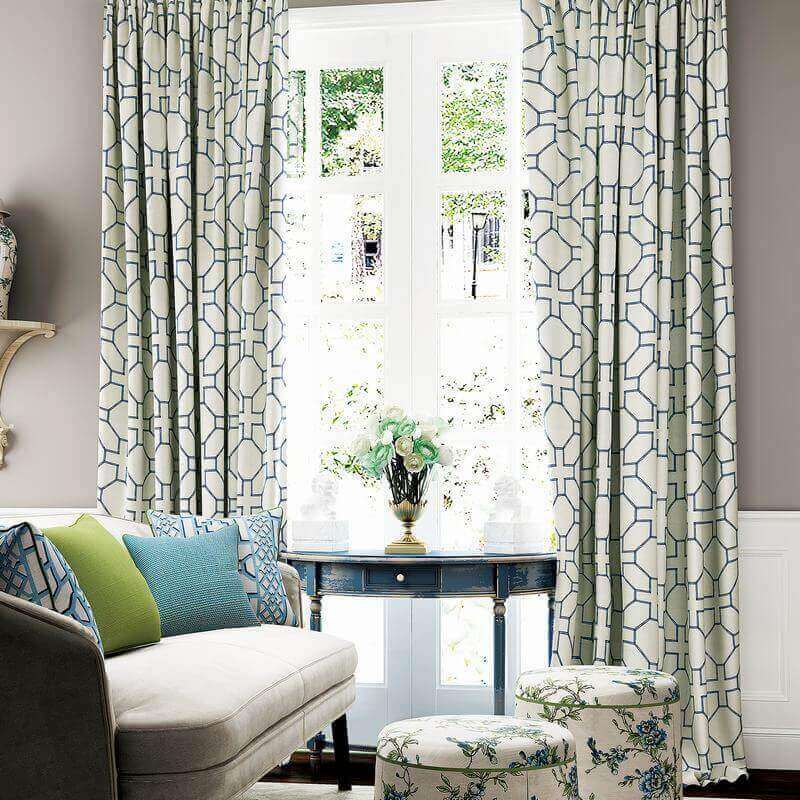 LOURVE collection: Focus on high end premium luxury curtain drapes. Colorways: Blue & Chocolate; Olive; Chocolate and teal color. 4 colors. Feature: The curtain lined with 140gsm blackout fabrice in white to block the 99% of light. Thermal Insulation. For example, if you want a full look and your window is 80" wide, add 16" for pole installed. This allow the end panels to extend 8" beyond each side of window frame, reducing light gaps and maximizing privacy. If you want grommet style in 1.5X fullness and 1X fullness for pinch pleat. You decide the fullness to create folds. Measure the length from the top of pole for grommet, and from rings for pinch pleat to where you want curtain to finish. We believe "Saving Working Time is Saving Everything." ChadMade is premier manufacturer of made to measure and ready made curtains. 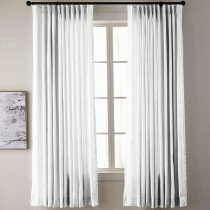 We provide wide range of product drapery, sheer, roman shade, table cloth. Fabric type cover blackout, thermal with foam coated, velvet, faux silk dupioni, faux satin silk, linen, cotton, linen cotton blend, and include technique of solid dyed, print, yarn dyed woven, embroidery, flocking, embossed, and jacquard etc. We built new production model to meet the demand of personalized flexibility and mass production efficiency. We own vertical factory to ensure orders could be executed efficiently and affordably. We normally need 4-7 days for tailoring and 3-7 days delivery via DHL or FedEx. Our mission is to let custom made curtain price affordable, procedure easy and efficient to save your working time finally. Copyright © 2018 ChadMade INC. All Rights Reserved.